Today I witnessed the birth of my 5TH child! A girl! Her name is Makenna Faith. 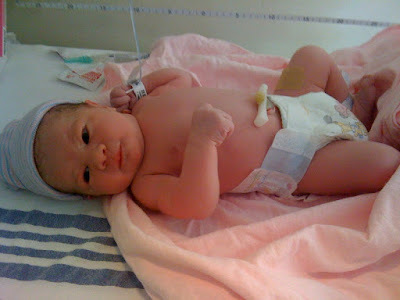 She was born (9/19/09) at 8:32 a.m. & weighed in at 7 lbs. 2 oz. & 19 1/4 inches long. As far as the eye can see, she is perfect. A perfect gift! The Bible teaches us in the book of James that every good & perfect gift comes from heaven above. I've been blessed to have 5 little blessings in my life with the first one coming 9 & 1/2 years ago. 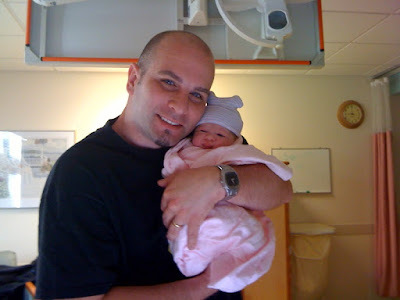 As I look at my little girl, I remember the birth of my first child, a little girl. (Mikayla) I'm thankful for God's goodness & favor in my life! I have so much to be thankful for. The truth is, we all do. Today I praise God for His faithfulness to me & the gift of another child. What do you have to praise God for today? When you focus on the 'good & perfect gifts,' you will develop a heart of praise & gratitude. Your discouragement will dissipate as you focus on God's goodness. Make a decision to focus on the 'little blessings' & God's goodness today! It will give you the courage to face another day!